WDSD Week Two: Interview with Rescuing Leftover Cuisine! We’re excited to post part two of our ongoing interviews with Boston’s voices in food rescue in our World Disco Soup Day campaign! This week we’re featuring Rescuing Leftover Cuisine's New England Coordinator, Dana Siles. Dana co-runs RLCMA with Lauren Basler, Massachusetts Branch Head. ​Like what last week’s discussion revealed with Lauren from Lovin’ Spoonfuls, Dana’s similar experience in the hospitality industry exposed her to the widespread issue of food waste. She joined the RLC team in order to help make food donation a Best Practice for all commercial kitchens and professional chefs who experience food waste. Lauren has hated seeing food go to waste ever since she was little, thanks to her grandmother’s influence and hearing about all those that go hungry. She is working on a dual Master’s in Food Policy and International Business with a focus on social impact. Lauren has learned that the negative environmental effects from food waste in landfills is almost as disturbing as global hunger. 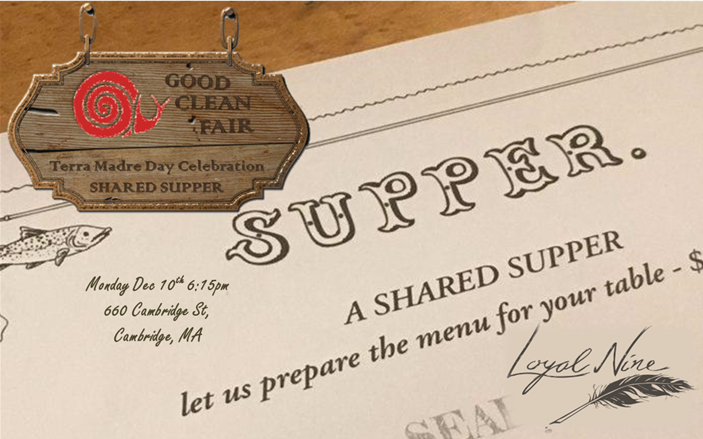 Read on to find out what makes RLC an important contributor to Boston’s food rescue scene, and join us on the 28th to chat with them and other inspiring organizations fighting food waste! Interested in getting involved with RLC? With just 30-60 minutes of your day, the average volunteer opportunity rescues 50 pounds of food and feeds 40 people! Click here to fill out their volunteer form. SFB Interviews Local Food Rescue Organizations for WDSD! All April long, Slow Food Boston is highlighting our city’s efforts to fight food waste. As a part of the global Slow Food World Disco Soup Day campaign, we’ve chosen to focus specifically on the food rescue organizations in Boston working together to tackle this complex problem. We’re excited to kick off part one of this series with an exclusive dialogue with Lauren Palumbo, COO of Lovin’ Spoonfuls! Lauren was born, raised, and educated in the Boston area. Coming from a background in the hospitality and non-profit sectors, she has a unique perspective of the inputs and outputs of food system operations. In 2015, Lauren was recognized as an ‘Emerging Leader’ by Bank of America’s Neighborhood Builders program, and in 2016, Lauren was selected as one of the Boston Business Journal’s ’40 under 40′, which recognizes Boston’s young business leaders. She plays a vital role on the Lovin’ Spoonfuls team in ensuring timely delivery of nutritious food to recipients across the Greater Boston Area, continuing to lead conversations on the importance of reducing food waste and ensuring access to healthy food for all. What does Lovin’ Spoonfuls Do? 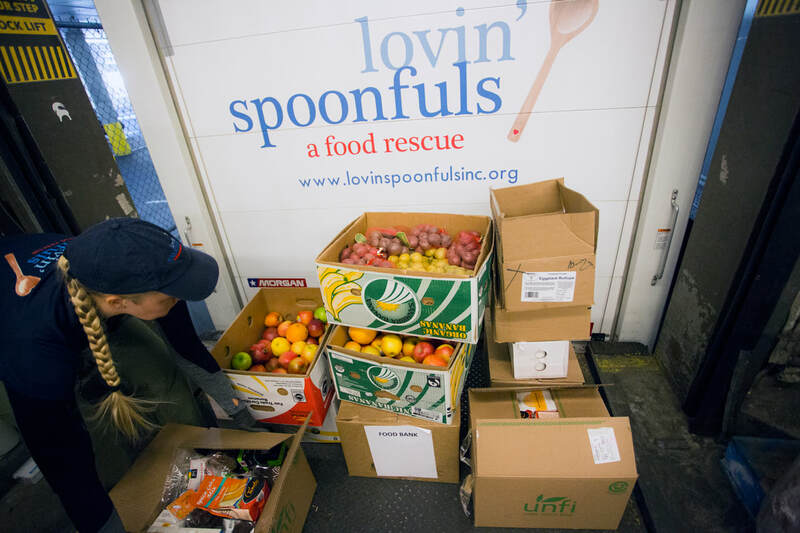 Lovin’ Spoonfuls is an organization that facilitates the recovery and distribution of healthy, perishable food that would otherwise be discarded. Lovin’ Spoonfuls works efficiently to deliver this food directly to the community organizations and resources where it can have the greatest impact. Lovin’ Spoonfuls is committed to addressing the health, environmental and economic impact that food waste has on our community. Headquartered in Boston, MA, Lovin’ Spoonfuls is a 501c3, non-profit organization. Check out these impressive stats! Read more about Lauren's passion for fighting local food waste in the first of this blog series here! How can YOU play a part in the movement? Join us on April 28th at the Boston Public Market’s Agricultural Fest, and engage in our social media campaign - share your efforts to combat food waste by tagging us and using the hashtag #WDSDBoston for a chance to win a Slow Food prize! World Disco Soup Day in Boston! Slow Food Boston is excited to announce that we are hosting a World Disco Soup Day event this month! What’s World Disco Soup Day, you ask? WDSD is a world-wide initiative launched by Slow Food to raise awareness about global food waste. Armed with beautiful leftover ingredients and a passion for sustainability, the day celebrates coming together to have a bit of fun while tackling this pressing issue. In a nation where over a third of produced food is wasted while one in eight Americans go hungry, we are here to shed some light on this major problem and help the global Slow Food community strengthen our food systems, protect our environment, and improve our health. This year is a special one for WDSD in Boston: we are taking part in Boston Public Market's Agricultural Festival on Sunday, April 28th to talk to you about what we can do to eliminate food waste! We feel fortunate in the Boston community to have a wealth of notable food waste-fighting organizations tackling this complex problem from all angles, and so to honor this day, each week leading up to the event we’ll be posting a series of exclusive interviews from inspiring leaders of the food-waste movement in the area including Lovin’ Spoonfuls, the Boston Area Gleaners, and more! We’re so excited that they will also be joining us on the 28th to offer a unique, comprehensive picture of how a city can unite forces to solve this large-scale issue. How can you get involved? Other than coming out to see us at the event, you can take part in our first-ever World Disco Soup Day contest! Share on social media what you’re doing to prevent food waste - tips, recipes, stories, get creative! Oh, and be sure to tag us and use the hashtag #WDSDBoston to be in the running for some Slow Food swag and more. Lastly (as if it couldn’t get any more exciting), this year’s WDSD marks the launch of the Slow Food Youth Network in Boston and the USA! This is a unique opportunity for aspiring young leaders passionate about promoting good, clean, fair food across the globe to make a lasting difference in making our food systems more sustainable, protecting biodiversity for future generations, and supporting our local farmers and producers. We are looking forward to harnessing the energy of our city’s vibrant youth community to contribute to a better food system, so let us know if you’re interested in getting involved, and stay tuned for future announcements and events! We hope you will join us in our food waste campaign for this year’s World Disco Soup Day. Tune in for updates, announcements, stories, and interviews as we celebrate local and global efforts to eliminate food waste throughout April! Announcing our Slow Food Conversation Guest Speakers! 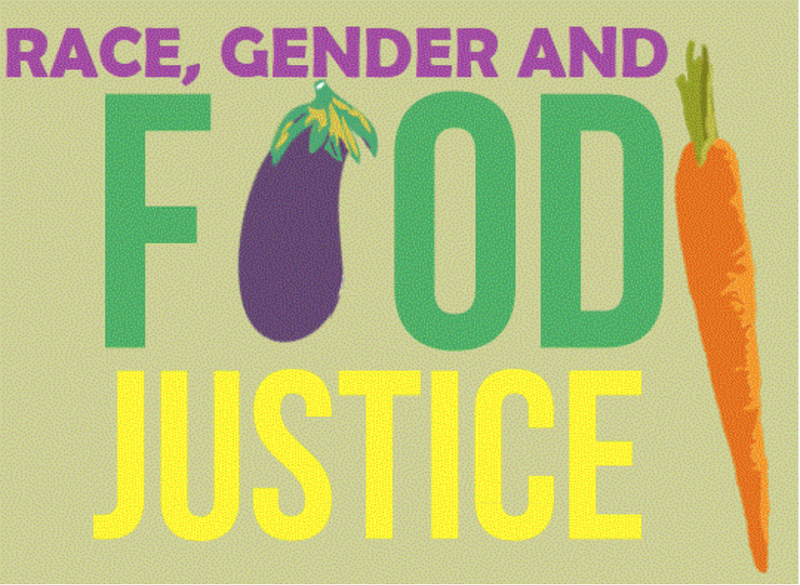 We could not be more thrilled to introduce our line-up of amazing guest speakers for the Slow Food Conversation on Race, Gender, and Food Justice! Darnell Adams, Co-owner of Firebrand Cooperative will be moderating our panel speakers Cassandria Campbell of Fresh Food Generation and Teresa Maynard of Sweet Teez Bakery. Tickets are limited so register here and come join us for a thought-provoking discussion on March 26th! Darnell is a consultant for Firebrand Cooperative specializing in project management, brand identity, board and team retreat planning and facilitation for nonprofits, cooperatives and other socially-responsible organizations throughout the U.S. Darnell’s two decades of experience as a director, teacher, mentor and small business owner have allowed her to make a difference in the social, economic and business communities in which she has worked. She is the former Project Manager of the Dorchester Food Co-op and the previous Managing Director of CropCircle Kitchen (now Commonwealth Kitchen). Cassandria is a Roxbury native and is the co-founder of Fresh Food Generation, dedicated to increasing access to healthy, nutritious, farm-to-table Caribbean, Cuban, and Argentine-influenced dishes to low-income neighborhoods. She became a food justice advocate while working at The Food Project, a nationally recognized model for youth development and sustainable agriculture. In 2011, she received a master’s degree in City Planning from MIT and has since worked in the field of community and economic development. She is proud to be an advocate of housing and women’s rights and serves on the Mayor’s Boston Women’s Commission. 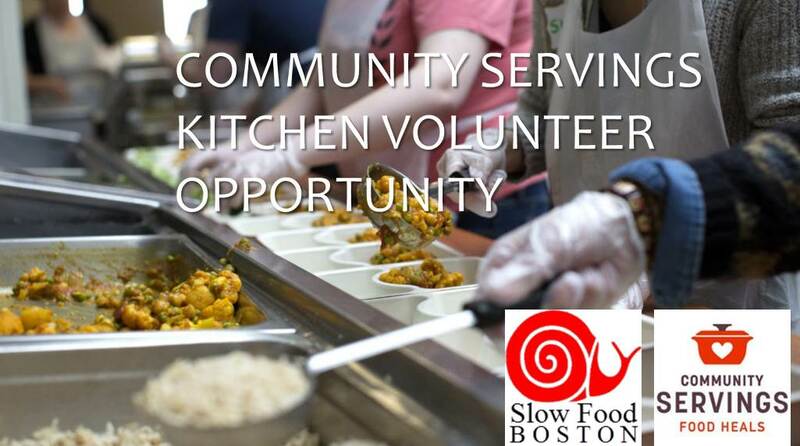 Slow Food Boston is highly committed to supporting food justice, celebrating diverse communities, and sharing the belief that benefits of the good food movement are to be enjoyed by everyone. That is why we are excited to host our first Slow Food Conversation on the intersectionality of race, gender, and food justice on March 26th! With Black History month still visible in our rear-view mirror and in the midst of Women’s History Month, join us for a lively conversation in recognizing these impressive women who have made a name for themselves as entrepreneurs of the local food scene, hear about the challenges they overcame to achieve success in a male-dominated food industry and take part in a thoughtful discussion on how the Slow Food community can work collectively in developing a more equitable food system that's inclusive of everyone. Enjoy complimentary appetizers provided by Fresh Food Generation and grab a beer in tune with the seasons and current trends from our hosts Remnant Brewing. Additional food will be available for purchase. 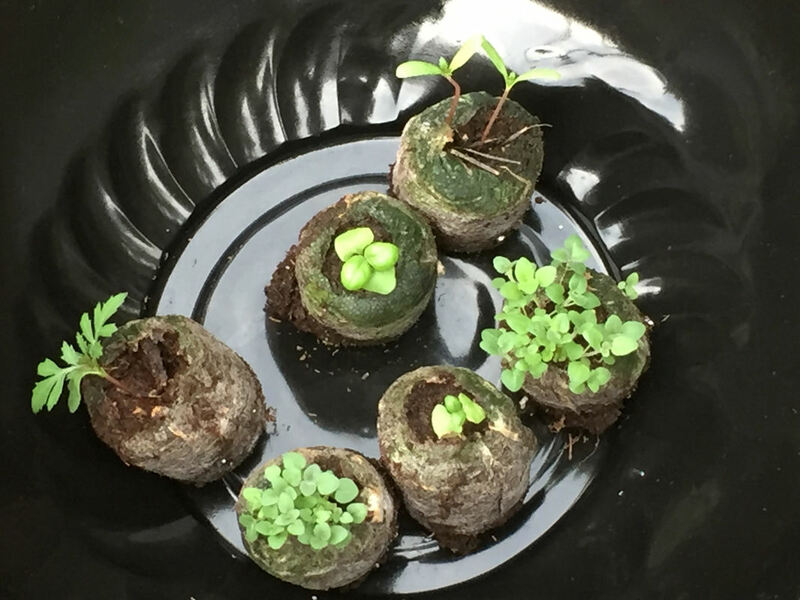 Gardening with Chris: Part Five has Arrived! 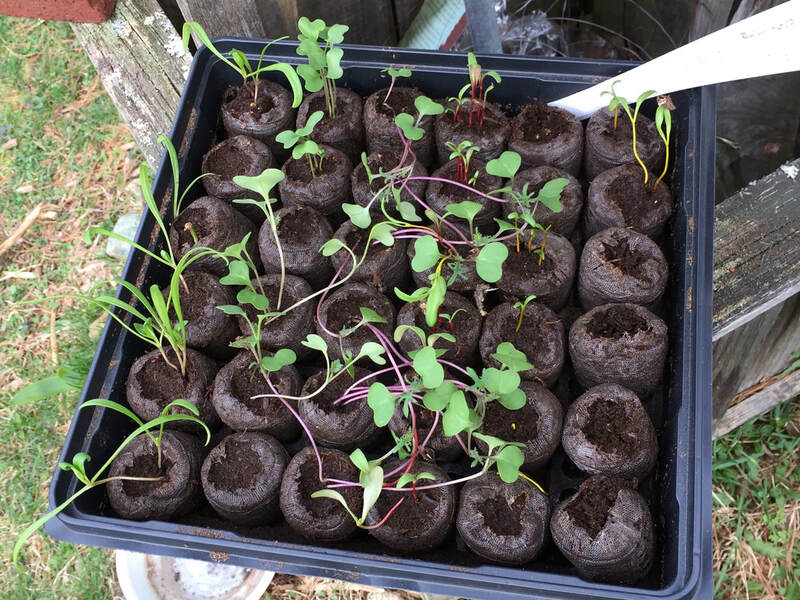 ​Here it is, the fifth installment of Gardening with Chris, "It's Good We Aren't Subsistence Farmers," where he covers his successes (and struggles) with a variety of seedlings he's been growing. Read on to see what crops have been showing promise and which ones require a little more patience this growing season. Also, a hearty, delicious vegetable soup recipe not to be missed!